Everyone thinks getting a tattoo is a great idea at the time, but the reality is that, at some point, you might find yourself regretting the decision. Fortunately, tattoo removal has become easier, less painful, and more affordable than ever before. That arm sleeve might have seemed cool when you were 18, but now you have to be self-conscious every time you go in for a job interview. If your tattoo has been a source of contention between you and your family, it might be a nice gesture to get it removed. You’ll make your family happy and get rid of something you don’t want anymore in the process. If you’re in a serious relationship (or plan on being in one anytime soon), that tattoo might not create the ideal first impression. Getting the tattoo removed means your future in-laws will place more emphasis on who you are as a person. Maybe that clever saying once spoke to you in a profound way. But as you grow older, maybe you’ve found that you’ve outgrown it as you’ve become more mature. Fortunately, you can move on with your life by removing the tattoo. Even the most high-quality tattoos fade eventually. If the image no longer is vibrant and appealing, it might be a perfect time to get rid of it completely. Thought you’d be with him (or her) forever? It doesn’t always turn out that way, and fortunately you don’t need to live with the tattoo of their name forever either. It could happen to anyone, but don’t let that drunken mistake stick with you once you’re sober. If your tattoo has been a point of contention with your significant other, you can make things better on the home front with a meaningful gesture. If you want to set a good example for your children, getting rid of the tattoo is a great way to do that. 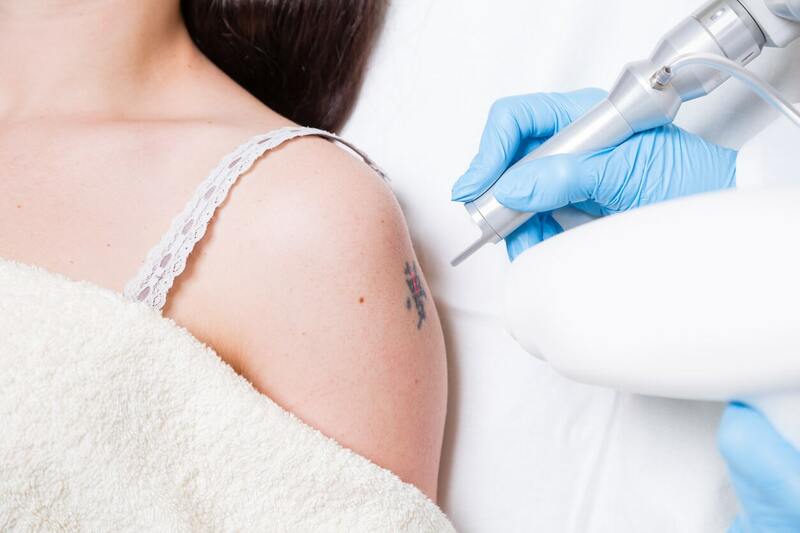 If you’re getting looks in the locker room (or elsewhere) that make you feel self-conscious, tattoo removal might make sense for you. There’s no reason to let that nihilist message have a home on your body anymore — even if it made sense to you when you were 19 years old. Looking for a good excuse to spend the money on a tattoo removal? Why not your birthday! Have you considered removing your tattoo? Contact Metropolitan Vein and Aesthetic Center to schedule a free consultation today at 914-295-2202.